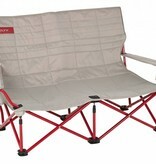 The Kelty Low-Love Chair is a super-comfy folding chair made just for two. 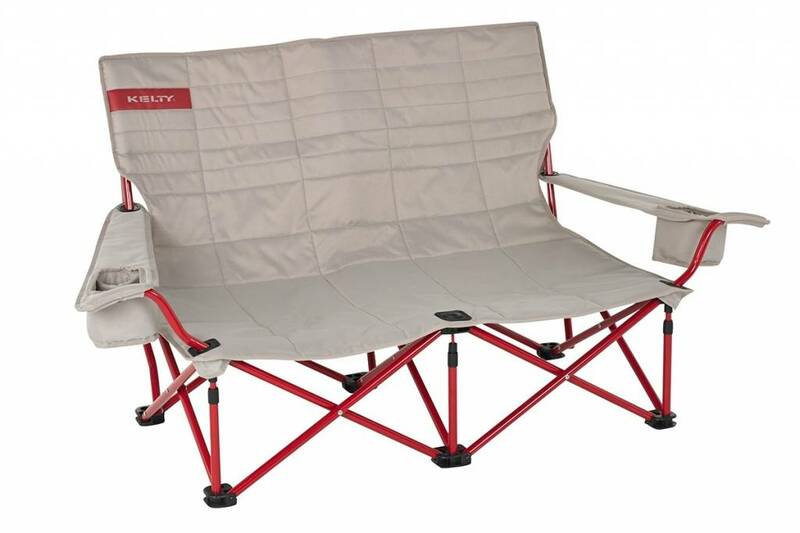 Perfect for all-day summer festivals or getting cozy around the campfire, the Low-Love features dual insulated beverage holders, adjustable arm rests, and a durable steel frame. 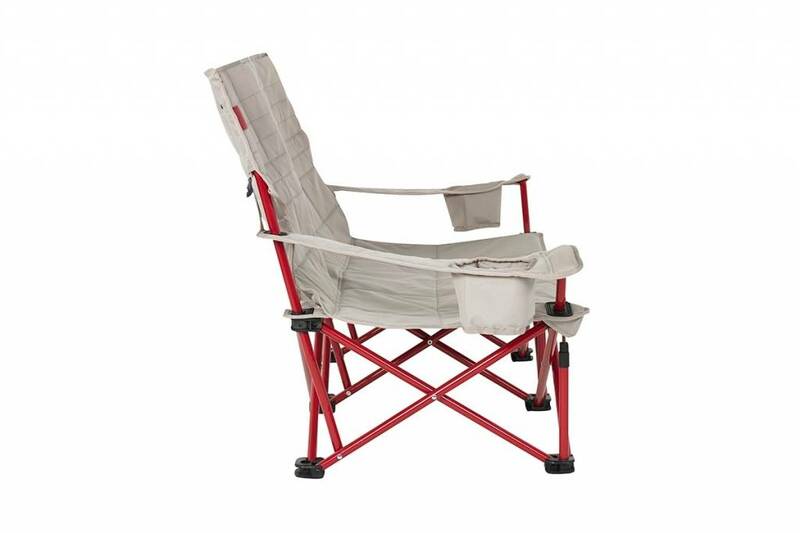 With a slightly reclined design for increased comfort, it's the perfect chair to kick-back! 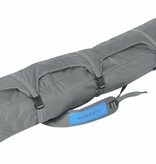 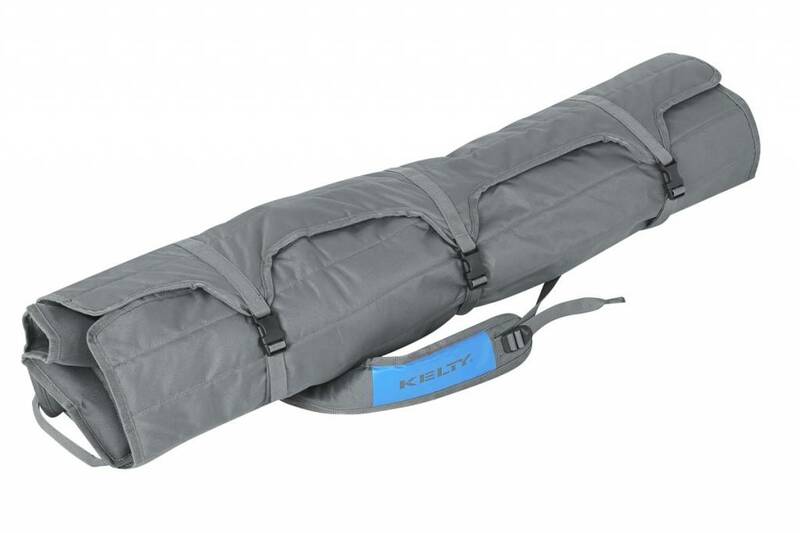 Plus, the new Roll-Tote carry bag makes the chair easier to pack and doubles as a firewood/gear tote because fewer trips hauling stuff = more time doing stuff. 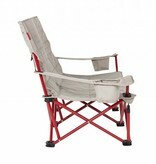 The Low-Love will graciously accept a front porch retirement after seasons of use.